The carefully maintained wildlife habitat on the offside of the canal opposite the car wash north of Clydach Lock has proved its worth. 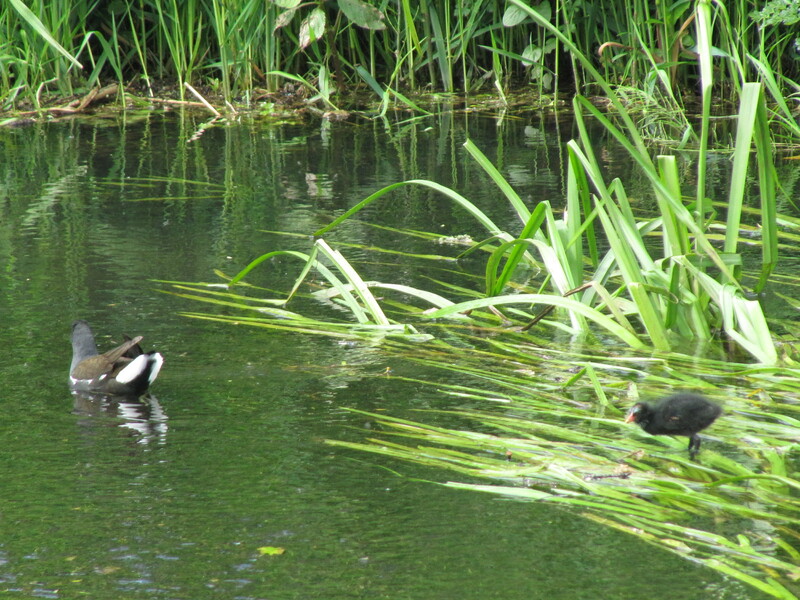 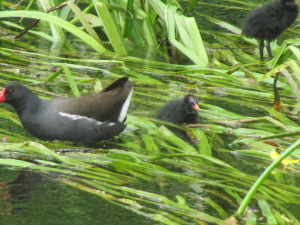 A pair of moorhens have nested in the reeds and two of the eggs have successfully hatched. We managed to get a number of shots of aparent and one of the chicks, of which these are the clearest. 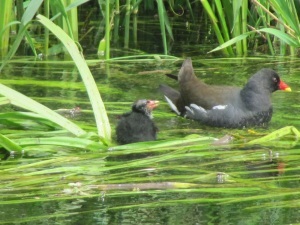 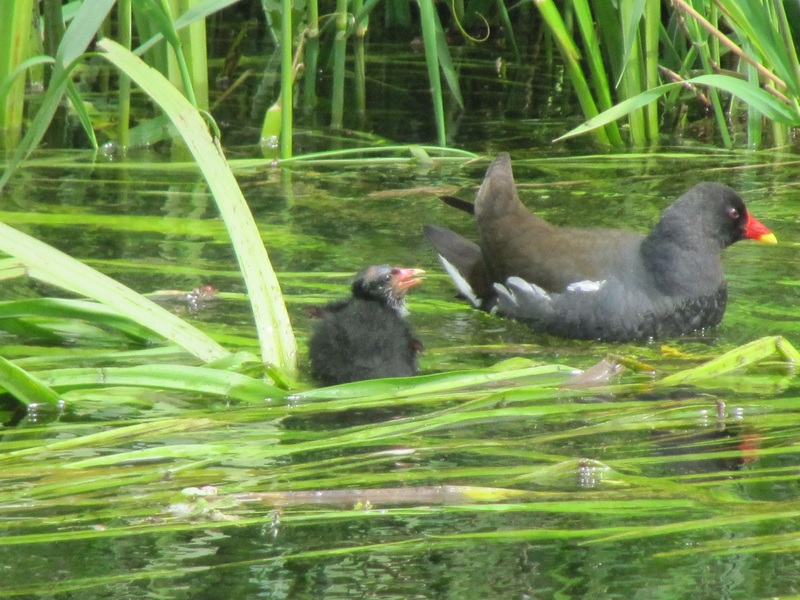 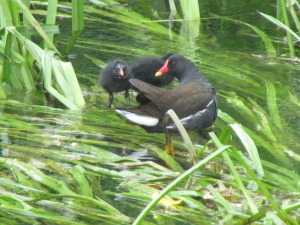 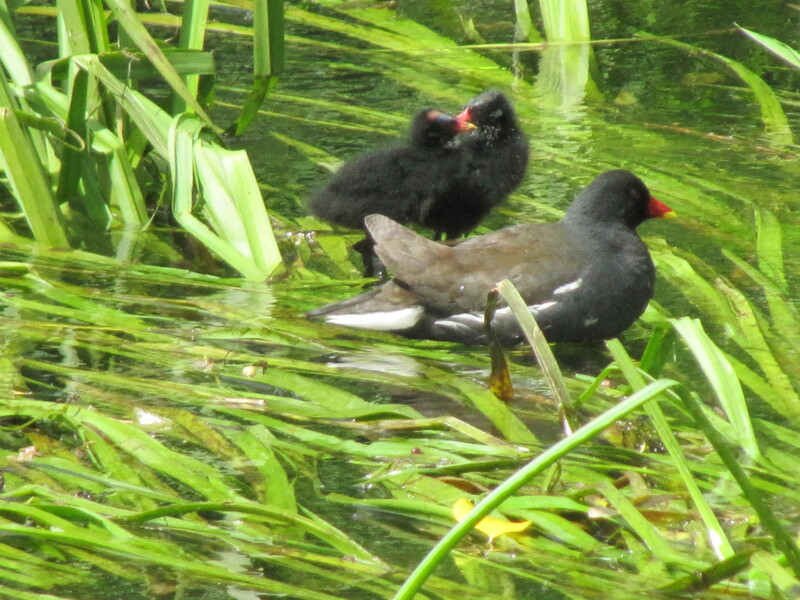 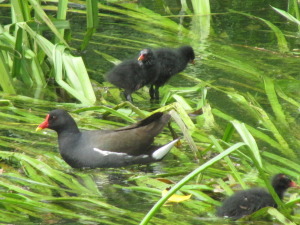 Update 28th May: I had underestimated the survival rate of moorhen chicks. 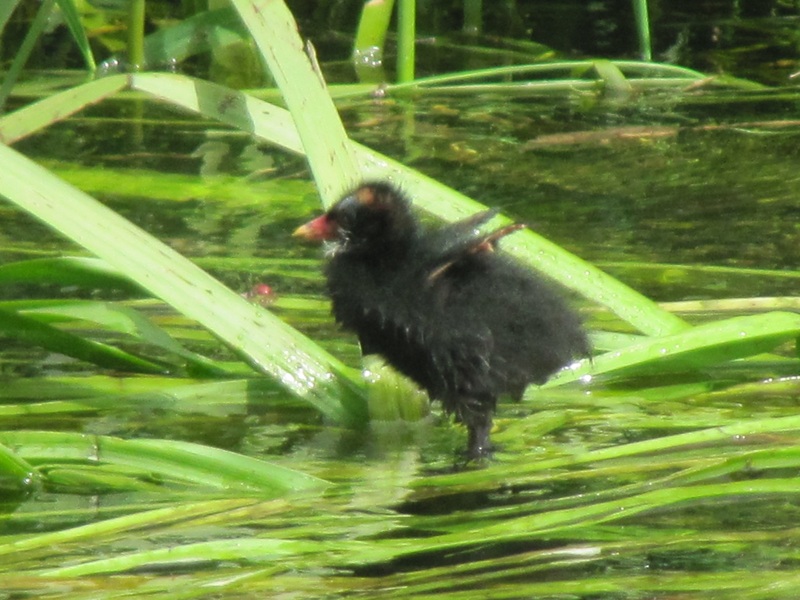 There are, in fact, five chicks alive and well from the same nest. 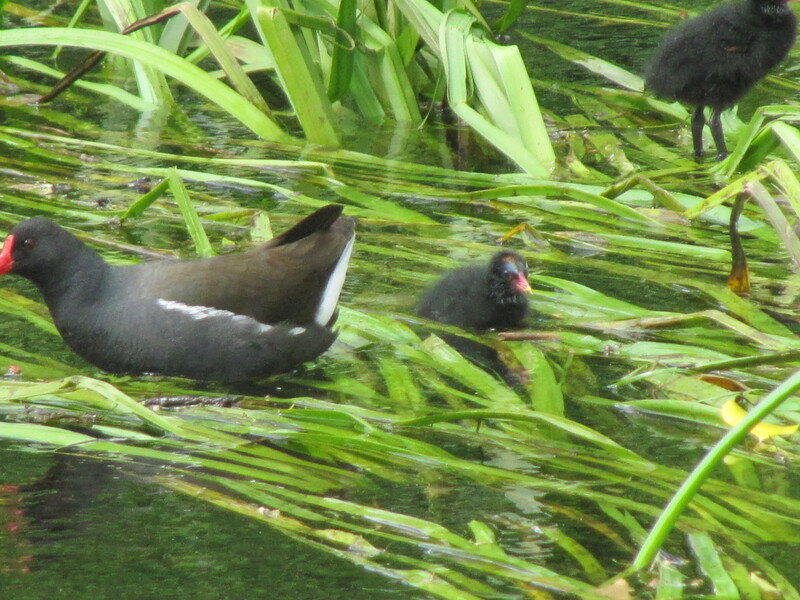 I had my camera ready to prove it, but they refused to do a group photo.